This page lists many of the questions most frequently asked of the Cathedral City Police Department. Additional FAQ pages are available concerning our Online Crime Reporting System and the department's Alarm Response Policy. These are available via special buttons (at the left) or from their respective pages of this site. If you have any other questions that are not answered on this site. Please feel free to call or email us so we can answer your question and post it here for others. What is a Watch Commander? The Watch Commander is usually a Sergeant or Lieutenant who is responsible for patrol operations of the police department. There is one on duty at all times. Report copies are generally available 7-10 working days after the report is taken. There is a service fee. Copies may be requested in person, or by mail upon payment of the fee. Call (760) 770-0304 for further information or check out the Records section of the website. How does the Police Department try to find my stolen property? Miscellaneous property, i.e. TV’s, DVD Players, guns, etc. with serial numbers are entered into a national computer system containing stolen property. Cars and motorcycles are entered as soon as possible. Other stolen property may also be put out on a teletype and flyer to local police agencies, depending on the uniqueness of the item. Are all criminal cases assigned to a Detective? No. A case will be assigned to a detective for follow-up investigation based on specific factors and evidence obtained during the initial investigation. Studies indicate that the presence of these factors can predict whether a detailed follow-up investigation would likely result in the arrest and prosecution of the suspect(s) or the recovery of property. What if I want to talk to a Detective? Due to the fact that they are in and out of the station, it is best to Phone (760) 770-0303, during business hours and make an appointment. What is the time period that my home is most vulnerable to a burglary? Monday thru Friday, 9 a.m. to 4 p.m. This is the period when most people are away from their home. It is a partnership between police and the community to educate residents on how to prevent crimes against themselves and their property, to encourage the reporting of suspicious activity, and to maintain a lookout of neighbor’s homes. For more information, call (760) 202-1498. C.O.P. is an acronym for Citizens on Patrol. Our residents really get involved. With nearly 25 unpaid volunteers, The Cathedral City Police Department’s Citizens on Patrol is a tremendous help to the police department and the community. You may see our COP car driving through your neighborhood looking for graffiti, towing abandoned vehicles, or directing traffic at a traffic collision. Our COPs receive training from sworn police officers, and attend monthly meetings. Not only are they an extra set of eyes and ears for the police department, but they are tremendous help in many other ways. If you would like more information on the citizens on Patrol, please call Sgt. Scott Sharpe at (760) 770-0306. What should I do if I hear a police helicopter hovering over my house? It is most likely that the police are searching for a felony suspect. Lock your doors and if it’s dark, turn on all your outside lights. Do not call the police unless you see somebody or hear something suspicious as the police are usually very busy during any search. How do I know if a door-to-door solicitor is legitimate? Solicitors “for profit” organizations must have a permit from the City’s Licensing Division. Also, ask the solicitor for a business card or company Identification containing a phone number to call and verify legitimacy of the solicitor. If I have any suggestions or concerns about the service(s) that the Cathedral City Police Department provides, whom should I contact? Please call (760) 770-0313 and you will be put in touch with the appropriate person. Please check the web site e-mail and phone directory as well to find the proper contacts. How come I didn’t know about the change in the City’s Alarm Ordinance requiring a permit and false alarm response fees? The City took great effort to reach as many citizens and business owners about the new ordinance as possible by utilizing various resources and tools. In November 2011, the Police Department made a public presentation regarding the new ordinance to the City Council. The presentation was included in the City Council Agenda prior to the meeting, and was also made available for public comments. The ordinance was presented to City Council again for a second reading in December 2011, again with prior notice in the Council Agenda and public comments. 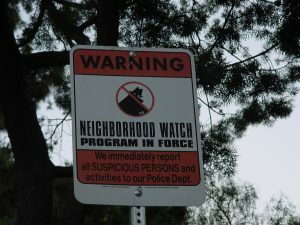 With approval from the City Council, the ordinance was passed into law to become effective January 15th, 2012. After the ordinance was passed in December 2011, information about the alarm permit and fees were provided to local radio, news media outlets, realty boards, and alarm industry companies asking for their assistance in notifying their customers of the changes. The City also utilized an automated calling system to alert citizens of the new ordinance and alarm permit, sending out an automated message in December and another in January. Why did the Police Department change the way it is responding to alarms? 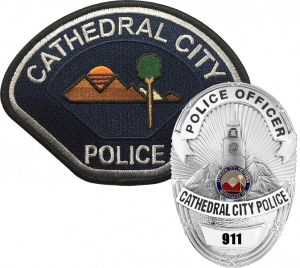 Since August 1st, 2010, the Cathedral City Police Department had been utilizing a Verified Alarm Response Policy (VAR) to evaluate and respond to residential and business alarms. Verified Alarm Response was implemented due to excessive false burglar and robbery alarms and a lack of resources and personnel to adequately respond to those calls. In order to better serve the community, the Police Department conceived a new approach to addressing the concerns of our residential and business districts in order to once again respond to ALL alarms in the City without the need for verification. I heard that obtaining an alarm permit is optional. Is that true? No, it is not true. The City Municipal Code requires that all residential and business alarm users obtain an alarm permit with the City. Alarm users who do not obtain a permit are subject to a $100 fine for their first false alarm response. Is it true that the Police Department is responding to all alarms? Yes, the Police Department is responding to all residential and business burglar alarms in the City, regardless of the cause of activation. Why doesn’t the City just charge more for false alarms to hire more officers to cover the costs of police response? The purpose of the new ordinance and fees is to provide a mechanism for alarm users and their alarm monitoring companies to develop a better relationship with one another, so that instances of false alarms are reduced. The funds generated from alarm permit fees and false alarm response fines will be used to pay for volunteer Reserve Police Officers to respond to alarm calls, while full-time Police Officers will still be available and on the street responding to more immediate and serious incidents. I own a home with an alarm system, but have renters living in the house. Do I need to have an alarm permit? Yes, there is a requirement for an alarm permit; however, the decision on who is responsible for the alarm permit and who is responsible for any false alarm fees will need to be worked out between the homeowner and the renters. For example, if a homeowner completes the permit application in their name, they become the responsible party for any false alarm response fees that the renter may incur. I have medical issues and have a medical crisis alarm in my house/apartment. Do I need to have an alarm permit? No, you do not need to have an alarm permit, if your alarm system is strictly a medical crisis alert system. The new ordinance only applies to burglary and robbery alarm systems. If there are no signs indicating otherwise, you can leave your car in one place for up to 72 hours. Do CCPD Police Officers have quotas for traffic citations? No, quotas are illegal. However, police officers are expected to enforce traffic laws during their shift. Sometimes Police Officers stop people because they match the description of a suspect in a recently report crime, or simply for a traffic violation. If you are stopped, pull over to the right side of the road and park. Keep your hands on the steering wheel and do not make sudden movements, or reach under the seat, or into hidden areas. Why do Police Officers sometimes park their car protruding into traffic when they stop a motorist? This is to protect the officer from being struck from the rear by approaching vehicles. Do Police Officers write parking tickets? Yes, when time allows or the violation is called to their attention. If my car is impounded and I disagree with the reason, what can I do? You have a right to a post impound hearing within 10 days after receiving notice of the vehicle impound. Any such hearing will be conducted within 48 hours of receipt of the request, excluding weekends and holidays. If you wish to obtain such a hearing, contact the Watch Commander at (760) 770-0313. When do I have to report a traffic accident to the Department of Motor Vehicles? When you are the driver of a motor vehicle involved in an accident on a public street or highway resulting in injury or death of any person, or property damage to any one vehicle(including the driver’s) in excess of $500, you must within ten days report the accident on a Department of Motor Vehicles SR-1 form. Is skateboarding permitted on the City’s sidewalks? Yes, skateboarding is allowed wherever it is legal for a pedestrian to go, except where there are signs prohibiting skateboarding. What is an Unmanned Aircraft? Unmanned Aircraft means an aircraft, including, but not limited to, an aircraft commonly known as a drone, that is operated without the possibility of direct human intervention from within or on the physical aircraft. What is a Civil UAS? A Civil UAS means an Unmanned Aircraft or Unmanned Aircraft System operated by any person for any purpose other than strictly hobby or recreational purposes, including, but not limited to, commercial purposes or in furtherance of, or incidental to, any business or media service or agency. Can I fly my Drone (UAS) in Cathedral City? The recreational use of drones is prohibited within the city limits and is currently a potential FAA violation. This is due to the proximity of the Palm Springs International Airport and the flight path of aircraft departing and arriving to the airport. I currently hold an FAA license and want to use my Civil UAS in the city limits. Am I allowed to use it? The only acceptation to the prohibited use, is if you hold an FAA license and you are granted a flight waiver by the FAA. The waiver application must be submitted to the FAA 90 days prior to the projected flight date. Because of the stringent testing involved in obtaining an FAA license, the use of a drone may be permitted if a waiver is obtained. This would apply for the commercial use (i.e. Real estate, contractor, film, etc.). A city permit may be required for the commercial use.Note: No person shall operate any model aircraft or Civil UAS within the City of Cathedral City in violation of any temporary flight restriction (TFR) or notice to airmen (NOTAM) issued by the Federal Aviation Administration. Does my drone need to be registered? If your drone weighs between .55lbs and 55lbs, it must be registered with the FAA if it is not used exclusively for recreational use. 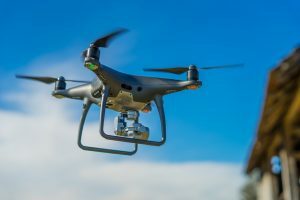 What should I do if I see a drone being flown illegally? If you observe someone operating a drone (UAS) illegally or in an unsafe manner, attempt to locate and/or identify the operator of the drone. Please indicate the type of action and notify your local law enforcement and FAA. Reporting Crime: using the Report Crime Online system.